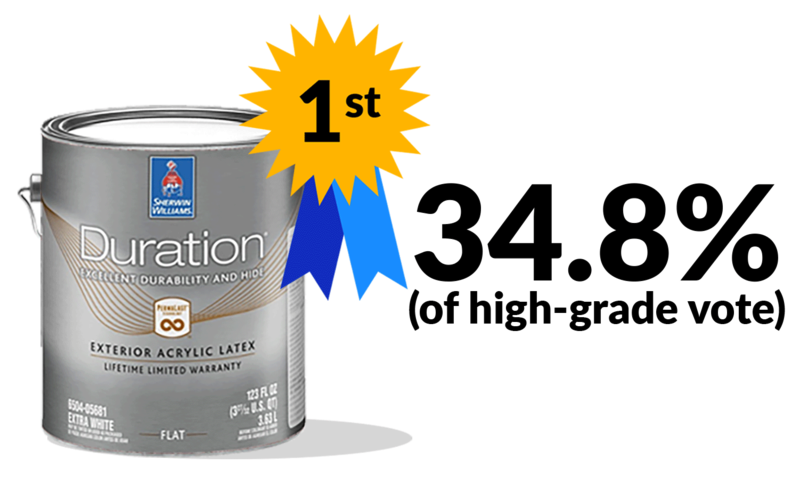 Important Note: Most contractors we polled made it very clear that you shouldn’t use a low-grade paint on the exterior of your home. Almost all of them recommended using a mid-grade paint (or higher) on the exterior. Consider that your home is one of your largest investments (if not THE largest investment). 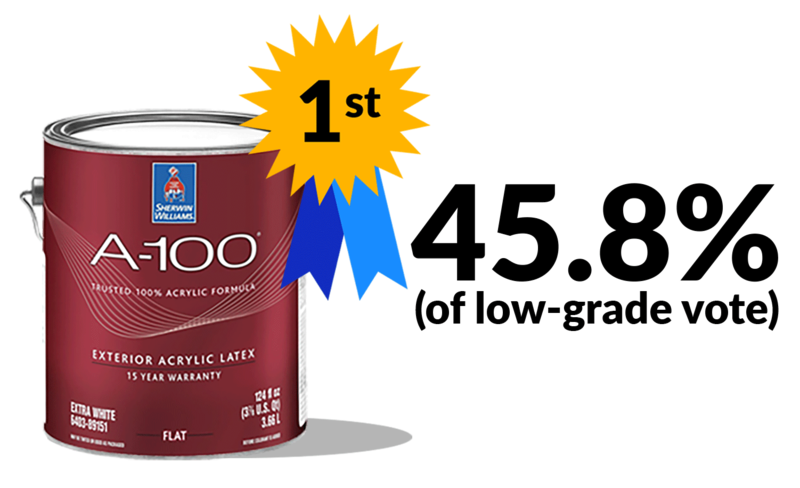 It’s worth spending a little more on the paint to get a paint job that lasts especially since the paint cost is usually only 10-20% the total cost of painting your house. 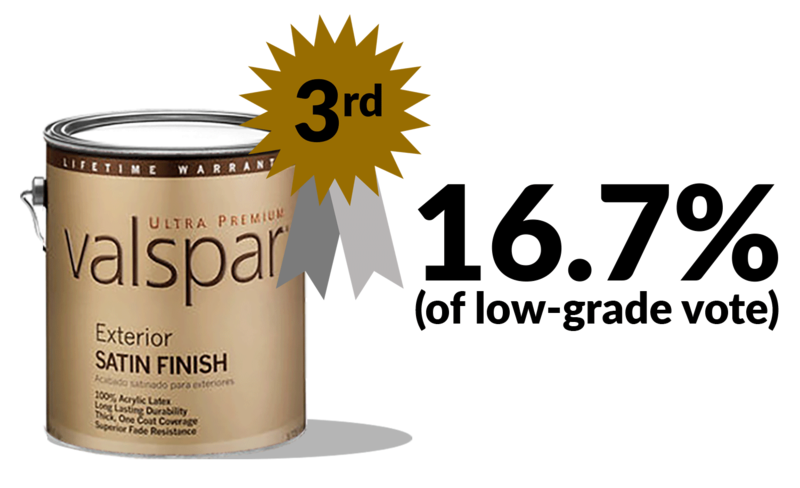 Sherwin Williams Super Paint was the dominant winner here as you can see. 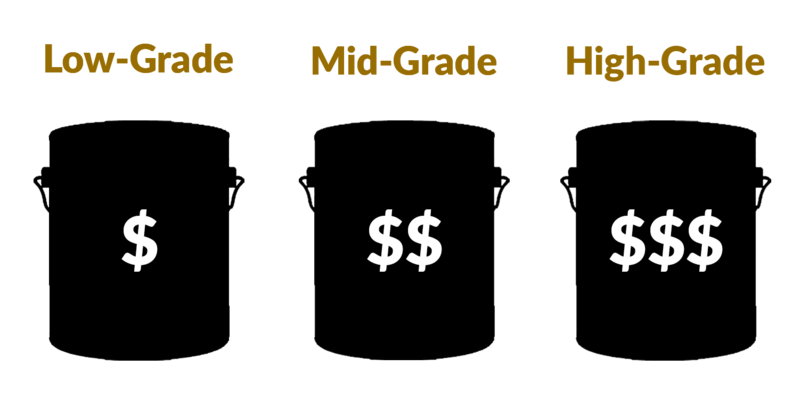 Depending on the contractors discount, it can usually be purchased for $25-$40 per gallon. Sherwin Williams was pretty dominant in this study, which would make sense; they are one of the largest paint manufacturers with sales at $11.8 billion annually, but if painting contractors nationwide recommend them, we would to! 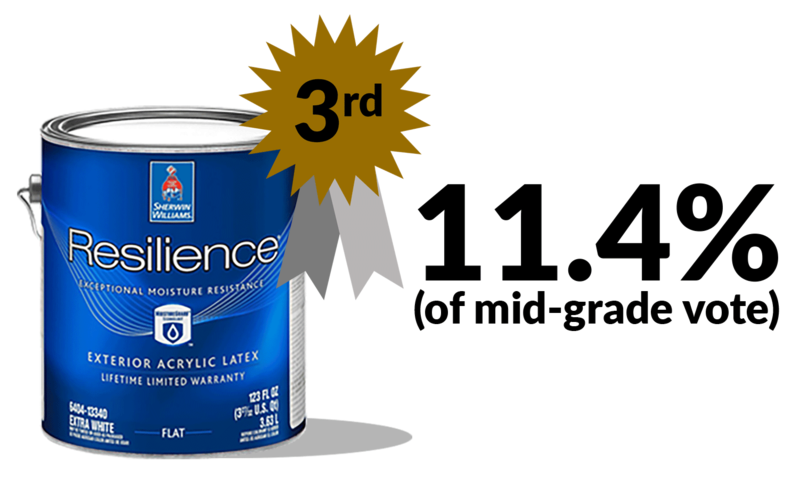 Benjamin Moore also had a pretty loyal following. 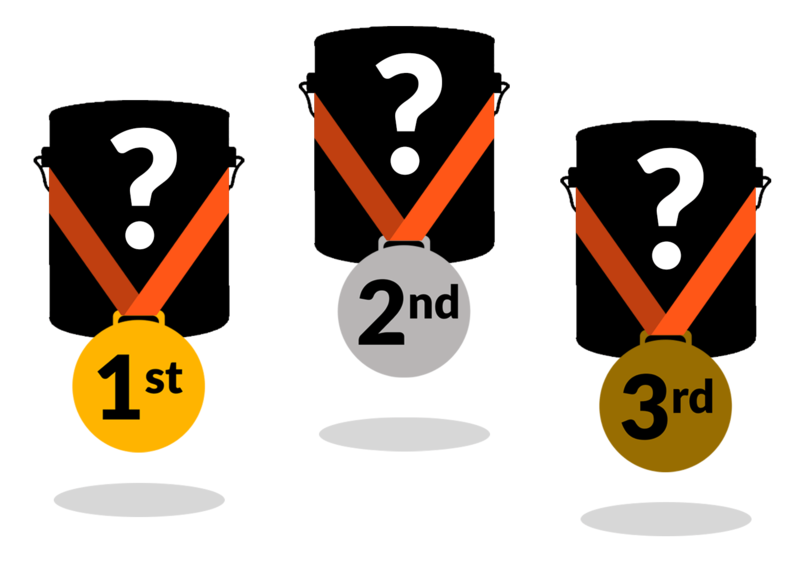 It did not receive as many votes but the votes it did receive were raving. 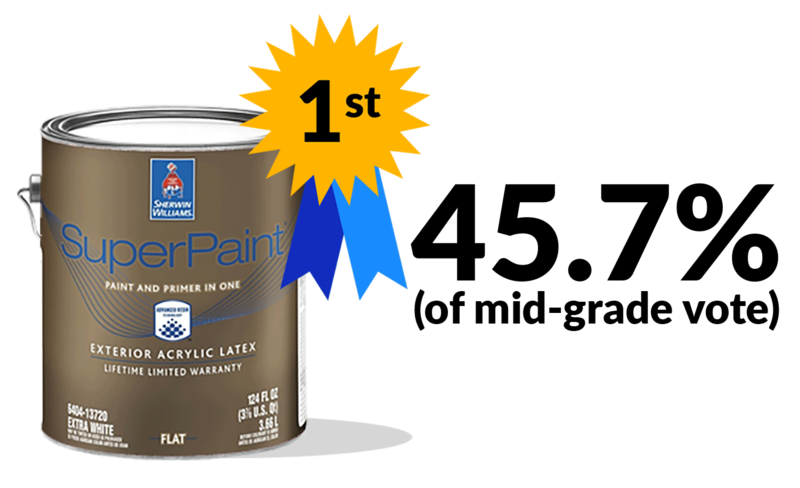 We’ve actually used most of these products ourselves (we’ve been painting houses for 14 years now) and we don’t have any complaints about Sherwin Williams products. It goes on easy, covers well and holds up over time. Keep in mind, the preparation process is always important when painting your house. Even great paint will peel if the surface is not prepped right. 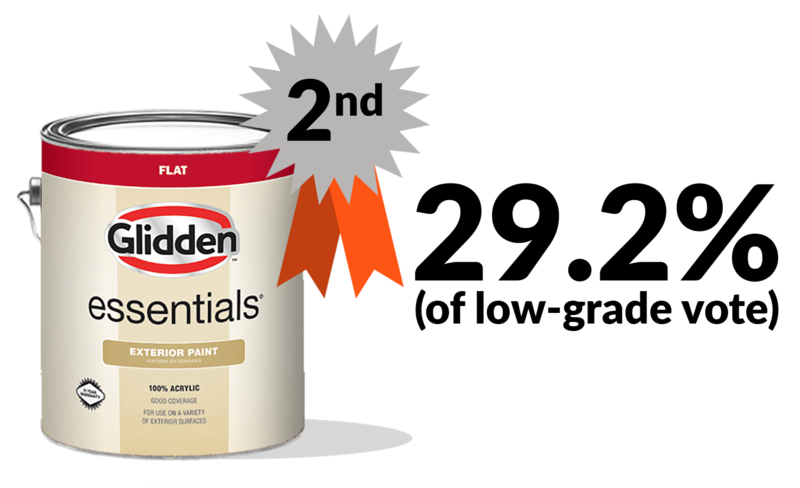 So there it is; The Best Exterior House Paint according to actual painting contractors. 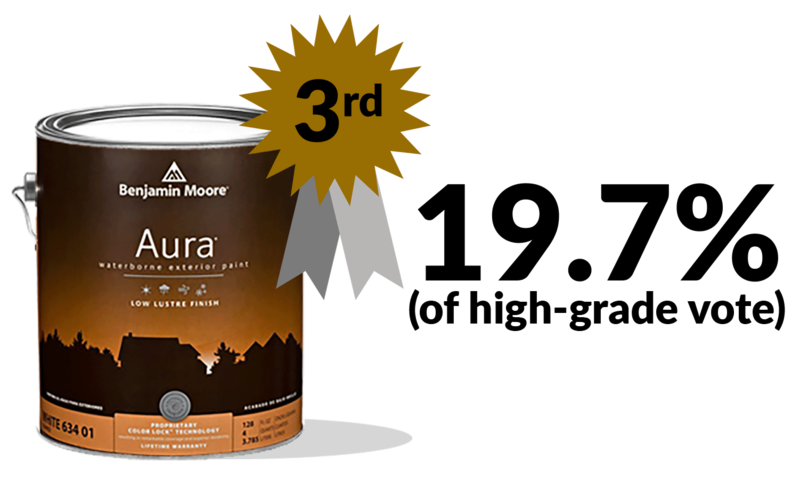 Hopefully this information will help guide you on which exterior paint you use in the future. Thanks for reading! Did Sherwin Williams pay for this AD?? My house has been painted twice with the BEST SW paint and it peeled within a year each time. BAH!!! Hi Judith, thanks for your feedback. 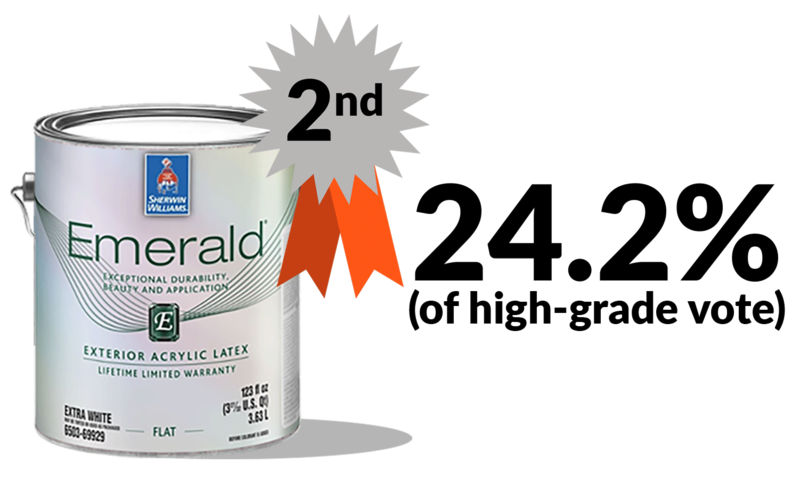 We have no affiliation with Sherwin Williams. 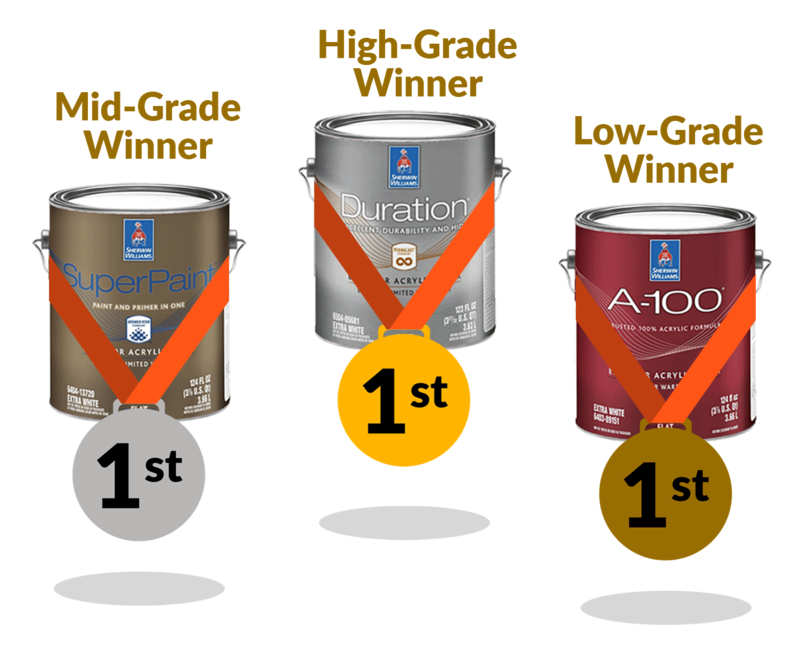 This is based off asking 12,000 of our painting contractors what they think the best paint is. Peeling can result from low quality paint or from poor prep-work. While the paint you use makes a big difference, I don’t think it can be blamed for peeling after a year..that has to be on the prep side.